Two participants who graduated from the Autism tech programme in November last year have been given an internship opportunity at Safaricom. The participants who graduated from the Autism tech training which runs for 4 months and trains students on IT and other computer/web packages will be joining the Safaricom team in April. The participants Arnold Kanywuiro and Eric Thongori, were picked by Safaricom kenya which has a diversity and inclusion program which aims to employ people with disabilities. Their program mainly included people with physical disabilities but is now expanding to employ and offer internships even to those with learning disabilities such as Autism. “When Safaricom heard about the @iLabAfrica Autism Tech Training program, Safaricom was interested in hiring participants for a 3-month internship program that will see them showcase their skills in the IT department dealing with Software testing among other roles.” Said Irene Gitangu the program manager of Autism Tech @iLabAfrica. The project sought to create an environment whereby individuals on the Autism Spectrum could be trained and get employment on the basis of their areas of strength. Software Testing & Quality assurance is one such area where people with Autism have been known to excel and thus the project was borne. Reports show that Autism affects an estimated 70 million people and is the fastest growing serious developmental disability in the world, with a startling growth rate of around 57% since 2002. About 80% of affected people live in developing countries where knowledge and resources are scarce, with very few opportunities even for diagnosis, much less for management and treatment. Research suggests that employers are missing out on abilities that people on the autism spectrum have in greater abundance than neuro-typical workers do such as, heightened abilities in pattern recognition and logical reasoning, as well as a greater attention to detail. In all the other continents, except Africa, people with Autism have been gainfully employed especially in IT. The project has a long-term goal of creating a social enterprise that would provide sustainable employment to qualified individuals on the Autism Spectrum as well as those with other learning disabilities. This entry was posted in @iBizAfrica, @iLabAfrica, Business, challenge, Digital Advertising Academy, E-Learning Center, Featured, IBM, Incubation, innovation, IT Outsourcing Center, IT Security Center, Next Big Thing, Oracle Academy, Other Stories, Safaricom Academy, Strathmore Univeristy, Student Internship, Uncategorized. Time: 11:00 am to 12:00pm. This entry was posted in Featured, IT Security Center, Student Membership and tagged Ethical Hacking, Farheen Mohiuddin, Talk. A Date with IT Forensic Security Guru! @iLabAfrica will hold a short workshop on IT forensic Security from the 16th to 18th January 2014. 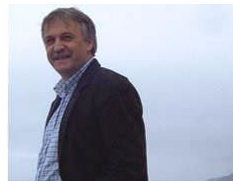 We shall be hosting a guest expert IT Forensic Security , Hans-Peter Merkel (Eng.) who will conduct a live demo on hacking as well as a hand-on training on hacking and computer security. The workshop is open to Students in Computer Science and Information Technology, software developers, IT and Network Security professionals and law enforcement agencies. Detecting Malware like high-end trojans (Stuxnet/Zeus). Getting access to password protected computers and smartphones. Detecting forensic evidence (pictures, documents, GPS coordinates etc.) in Android based systems. Registration Fees must be sent to M-Pesa Number: 0725 422 498 . Kindly click on the register button below to sign up for this workshop. This entry was posted in Featured, IT Security Center and tagged @iLabAfrica IT Security Centre, Hacking, Hans-Peter Markel, IT Forensics. Certified Ethical Hacker is a professional certification offered by the EC-Council (International Council of E-Commerce Consultants). The course exposes learners to standard hacking practices with the aim of giving them hands-on-experience on identifying, counteracting and preventing these attacks. Upon completion of the certification examination, learners become Certified Ethical Hackers. Who should Attend CEH Training? CEH training is for IT professionals and students who want to become Certified experts in ethical hacking. It is ideal for individuals who want to gain hands-on-experience on identifying, counteracting and preventing IT Security attacks. @iLabAfrica – Strathmore University, is a center for Excellence in IT Security. We have partnered with the best of Industry in IT Security, to ensure you get industry standard skills and training. Learners will be exposed to an entirely different way of achieving optimal information security posture in their organisations. With this training, they will scan, hack and secure their own systems on a virtual environment. Following the training, learners will be able to take the certification exam in Strathmore University and receive the internationally recognised certification Certified Ethical Hacker. This entry was posted in IT Security Center and tagged @iLabAfrica, Certified Ethical Hacker, EC-Council, Professional certification, Strathmore University.